I fell in love with this Ebony cover as soon as I set my eyes on it. 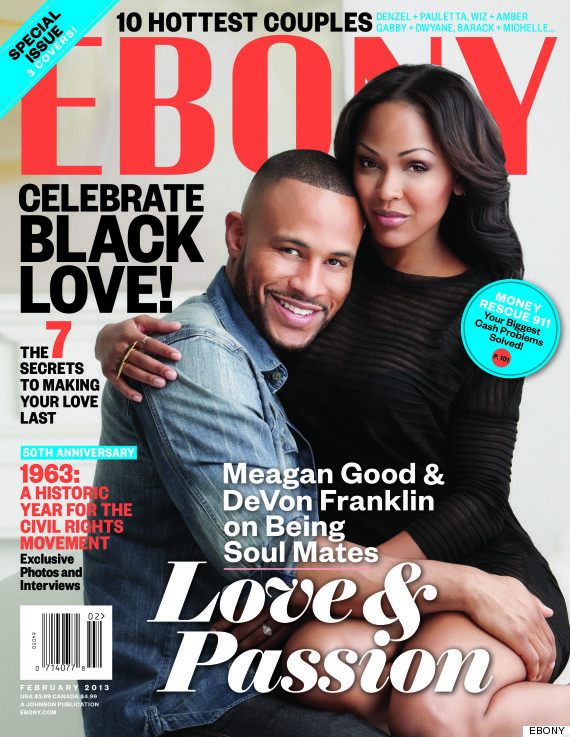 Meagan and DeVon look so beautiful and happy together. I am looking forward to reading their love story. Emma Stone is the cover girl for the February 2013 edition of Glamour UK . I love this playful cover. It reminds me of Summer for a weird reason. I guess it is because the cover is so bright and colourful. This edition is out now. Go grab your copy.